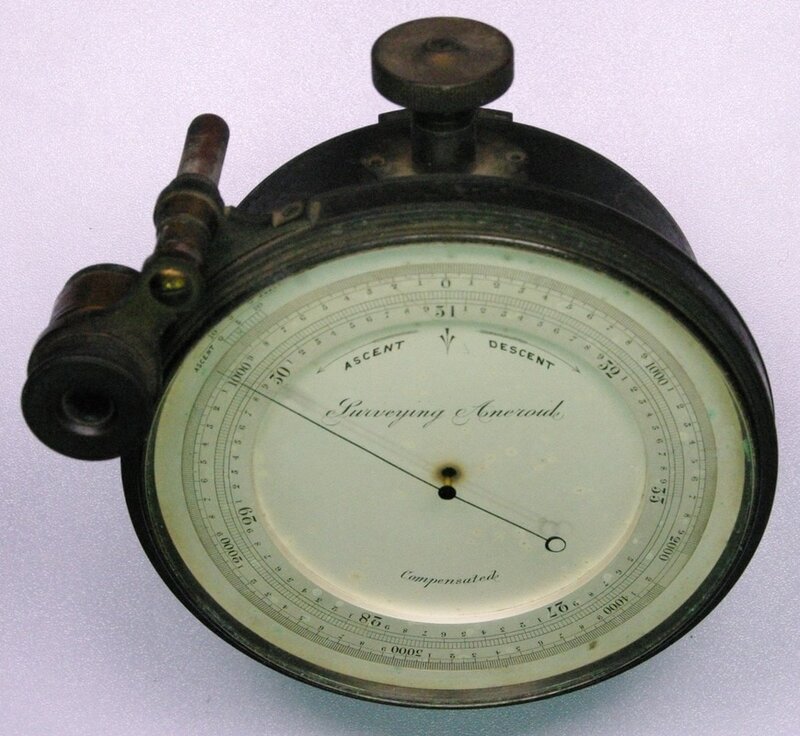 This altimeter looks very similar to a Dietzgen Model 6770 mining barometer shown in the 1907 and 1912 Dietzgen catalogs available elsewhere on this site. It has no logo on it. I'm not sure of its manufacturer as Dietzgen was a supplier, not a manufacturer, of barometers. The labeling and size (4.5 inch dial) looks like Casella but I can't be sure. It has a pressure scale from 26.5 to 33.0 inHg, and an altitude scale from 4,200 feet ascent to 2,000 feet descent. The scale magnifier is larger than the simple magnifying lens on most altimeters. If anyone can identify the manufacturer, please send me an email. ​Go to Dietzgen catalog page.